New betting shop games have been pulled following accusations the firms were using them to cynically side-step new laws designed to curb problem gambling. On Monday, new rules came into force to drastically reduce the amount of money gamblers can lose on dangerously addictive betting machines known as fixed-odds betting terminals (FOBTs). But now the maximum stake has been lowered from £100 to £2 per spin, some betting firms were accused of trying to compensate for their lack of earnings by creating similar games which do not clearly fall under the new rules. Betfred’s Virtual Cycling game allowed gamblers to bet up to £500 every two minutes, while Paddy Power’s game Pick ‘n’ 36 allows them to bet up to £100 every three minutes. William Hill is trialling a game called Wonderball which has a £50 maximum bet. 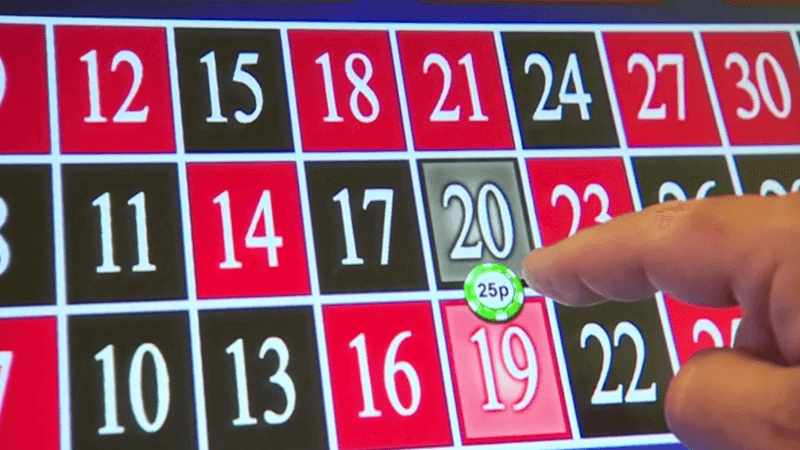 All three are roulette-style games which bear a striking resemblance to FOBTs, but as they are not fully electronic, and gamblers must place bets over the counter, they are exempt from the rules covering FOBTs. Betfred and Paddy Power have both removed the games pending an investigation by industry regulator the Gambling Commission and could face sanctions if they are deemed to have acted irresponsibly. MPs and campaigners have lined up to criticise the companies for undermining the law in pursuit of profits. Deputy Labour Leader Tom Watson added: “These new games seem like FOBTs by the back door and look like a pretty disgraceful example of bad faith by the bookmakers involved. They appear to be trying to cheat the system. “The gambling industry fought FOBTs reform tooth and nail, never accepting the terrible social harm they caused. They clearly haven’t learned any lessons”. Gambling With Lives’ Charles Ritchie said: “These games seem cynically designed to keep addicts gambling and maintain bookie’s profits. Former gambling addict Danny Cheetham also criticised the new games: “It’s fast-paced, roulette impersonation. It’s addiction by design at its best and it has higher stakes than the old FOBT limits. He added he was “shocked” the companies had done this on the same day the law was changed, despite warnings from the Gambling Commission not to do so.